As you emerge from the Curtis Building, it's worth a half-block detour to 7th and Samson to glance at Jeweler's Row, a curious concentration of diamond merchants who have clustered there since before the Civil War. However for this leg of the tour, turn about to Washington Square, now a quiet manicured residential square but once the site of the Walnut Street prison, the location of the first balloon ascension, the potters field of colonial days, and the home of the unknown soldier of the Revolutionary War. There are accounts of people catching abundant fish in a brook once running through the square, well into the Nineteenth Century. Because of the brook, there were tanneries in the region; tanneries always smell bad. Accordingly, the deed from the Penn family for the Pennsylvania Hospital nearby is revocable if anyone ever decides to build another tannery on its grounds. On Sixth Street, a few feet south of Walnut, is the splendid brownstone Italianate structure of the Athenaeum, established just after the Revolution as a private lending library, and continuing so today. It's well worth a brief visit to grasp why Lafayette joined it, and so many other members have contributed Nineteenth Century, mostly French, sculpture and paintings. Next door is the former home of then-Mayor Richardson Dilworth. It looks vaguely Georgian in style, but was actually built forty years ago as Dilworth's personal statement that Society Hill needed to be revived as a fine place to live. Although Charles Peterson is credited with the idea of starting Society Hill by restoring Stephen Girard's house at Third and Spruce, Peterson bought it for $1800 and eventually sold it for millions. By contrast, Dilworth spent millions for his house, and it later sold for much less. Although they served the same cause, the two men of entirely different social class were rather reserved with each other. Spruce Street itself is a sort of architectural museum, with houses on the Delaware dating to 1700, getting progressively more recent as you go West. At the level of Seventh Street, the houses date from around 1810, eventually reaching Broad Street around 1890. Midway up the block of Spruce Street from 7th to 8th on the North Side (the South Side is nothing but facade, covering hospital buildings) is the house --really two houses run together -- of Nicholas Biddle. He had more backyard than most houses in the suburbs now do, even once keeping a baby elephant there. The house was made famous for dinner parties conspiring against Andrew Jackson, and later its social glamour was described admiringly by that gossip diarist of the time, Sydney George Fisher. At Eighth and Spruce, one half of a city block is occupied by the most modern of hospitals, now tending 440 patients after the manner of a medical Swiss watch. The remaining half of the block is a museum of American Medical History, polished and manicured by professional museumologists. There are, however, many people still alive who remember when it containing 160 desperately sick poor people, tended to by unpaid nursing students and resident physicians. It is frequently said that the history of American Medicine is the history of the Pennsylvania Hospital . At Ninth and Spruce, Joseph Bonaparte the Emperor's brother once lived, subsisting on a steamer trunk of gold coins he brought along. Continuing north to Locust Street, Thomas Jefferson University begins, and stretches for several blocks in all directions. Before turning west, however, glance down to the southwest corner of 8th and Locust, the original Musical Fund Hall. The music moved west to Broad Street, but the Musical Fund Building was long the largest auditorium in town, housing entertainments and graduations. Abe Lincoln was nominated for his second term, there. Turning about to view Jefferson, it is easy to believe it is now the largest employer in Center City, and furthermore owns most of the major hospitals in the Pennsylvania suburbs. Further north on Broad Street looms City Hall, designed to be the tallest building in the world but superceded by the Eiffel Tower made of tinker toys while the Philadelphians struggled to build with solid stone. Short of the Maginot Line, it is hard to imagine any building more solid than this one. No expense was spared, and it is really worth a tour. That little statue of William Penn on top is 37 feet tall. Just across the street to the north of it is the Masonic Temple, an equally spectacular series of architectural flourishes. If you visit (the public is quite welcome), you will never forget seeing this place. The Masonic Temple is not an imitation of City Hall; it was built there first. So that's the end of our one-day historic walking tour of historic central Philadelphia. No doubt you are tired and want to go home. We've left you right by Suburban Station (17th and Arch) if you are going to the suburbs. If you are going to New Jersey, take the high speed line at Broad and Locust (there's an entrance down stairs on the two eastern corners). At the corner of 808 Locust stands a condominium building with a colorful history. It was originally the First Presbyterian Church, and then in 1820 the famous architect William Strickland converted it into the largest musical auditorium in the City. For several years, a group of music lovers had been meeting to discus the problem of aging and retired musicians, most of them impoverished. The idea arose of giving several benefit performances each year to raise money for retired musicians, and the idea was enlarged to create a Musical Fund Society to put on regular concert series. Since it was by far the largest public auditorium, it also served for graduations, speeches, conventions. It thus came about that in 1856 the Republican Party held its first national convention there, nominating for President John C. Fremont, the famous explorer of the West. The Republicans had two main components, the advocates of the abolition of slavery, and the residual of the Whig Party, which had come apart. The Whigs were mainly concerned with using government effort to promote the economy, building canals and roads, and similar ideas for public benefit. Abraham Lincoln had been a fervent Whig. As a musical society, the Musical Fund was quite instrumental in persuading this Quaker City that music could be used for purposes other than religious incantations and frivolous entertainments. And it was useful in bringing the new instruments and musical concepts from Europe to the New World. Louis Madeira has written an interesting history of the early musical significance of the Musical Fund. When the Academy of Music opened in 1856, the old hall on Locust Street became a relic of the past. It had assets, however, and the organization continues to function as a granting agency for musical production and development in the Philadelphia area, even though it is itself no longer in the business of musical production. And then the third strain of history in this old place is the development of Musical Unions. This is natural enough, in view of the original purpose of helping indigent musicians. But unfortunately, several competing unions appeared, most of them on Locust Street, and the dissention was bitter and continuing. In 1871 Philadelphia was the scene of the creation of the National Musical Association, and although the local 77 became a part of the national movement, it was stormy. Competitive musical unions had a history of calling the police to shut down speakeasies run as private clubs by their competitors. During the Depression of the 1930's there were many accusations of Communist infiltration, and counter accusations that Joseph Petrillo, the national president, was a Nazi. An underlying theme among musicians was that foreign immigrants were willing to work for less than the standard wage, and hence many of the coercive features of the union were aimed at forcing immigrant musicians to become members, and to refuse to work for substandard pay. Some idea of the bitterness in the situation can be gained from the strike against the Philadelphia Orchestra in 1956. Ten years later, only one member of the union in ten was employed. Music in Philadelphia: and the Musical Fund Society, Louis C. Madeira ISBN: 1-932109-44-7 Ross and Perry Inc.
No other city in America is remembered for an epidemic; Philadelphia is remembered for two of them. The Yellow Fever epidemic, for one, that finished any Philadelphia's hopes for a re-run as the nation's capital. And Legionnaire's Disease, that ruined the 1976 bicentennial celebration. One is a virus disease spread by mosquitoes, the other a bacterial disease spread by water-cooled air conditioners. Neither epidemic was the worst in the world of its kind, neither disease is particularly characteristic of Philadelphia. Both of them particularly affected groups of people who were guests of the city at the time; French refugees from Haiti and attendees at an American Legion convention. In 1976, dozens of conventions and national celebrations were scheduled to take place in Philadelphia as part of a hoped-for repeat of the hugely successful centennial of a century earlier. Suddenly, an epidemic of respiratory disease of unknown cause struck 231 people within a short time, and 34 of them died. Every known antibiotic was tried, mostly unsuccessfully, although erythromycin seemed to help somewhat. The victims were predominantly male, members of the American Legion of a certain age, somewhat inclined to drink excessively, and staying in the Bellevue Stratford Hotel, one of the last of the grand hotels. Within weeks, it was identified that a new bacterium was evidently the source of the disease, and it was named Legionella pneumophila. Pneumophila means "love of the lungs" just as Philadelphia means "city of brotherly love", but still that foreign name seemed to imply that someone was trying to hang it on us. Eventually, the epidemic went away, but so did all of those out-of-town visitors. The bicentennial was an entertainment flop and a financial disaster. Since that time, we have learned a little. A blood test was devised, which detected signs of previous Legionella infection. One-third of the residents of Australia who were systematically tested were found to have evidence of previous Legionella infection. A far worse epidemic apparently occurred in the Netherlands, at the flower exhibition. Lots of smaller outbreaks in other cities were eventually recognized and reported. It becomes clear that Legionnaire's disease has been around for a very long time, but because the bacteria are "fastidious", growing poorly on the usual culture media, had been unrecognized. And, although the bacteria were fastidious, they were found in great abundance in the water-cooled air conditioning pipes of the Bellevue Stratford Hotel. Even though the air conditioning was promptly replaced, everybody avoided the hotel and it went bankrupt. When it reopened, 560 rooms had shrunk to 170, and it still struggled. Although there is little question that lots of other water-cooled air conditioning systems were quietly ripped out and replaced, all over the world, the image remains that it was the Bellevue, not its type of plumbing, that was a haunted house. There is even a website devoted to its hauntedness. Washington Avenue was called Prime Street before the Civil War and was an important trans-shipment center for the whole country. Rail traffic, coming down from New York and New England, came through New Jersey on the Camden and (Perth)Amboy RR, disembarked, and ferried over Delaware to the foot of Prime Street/Washington Avenue. Passengers then took horse-drawn cabs up Prime Street to Broad, or else they walked. At that point, travelers bound for further South would enter the imposing Rail terminus of the Philadelphia, Wilmington and Baltimore RR, to re-embark. Philadelphia hotel operators hoped they would stay overnight; Philadelphia merchants hoped they would just transact their business locally, then go back home. Taking nine hours from New York, it was an inefficient transportation method by today's standards, but the Prime Street interruption served local economic purposes, which Chicago keeps in mind, even today. For example, in 1859 John Brown's body was brought forth on the PWB railroad, precipitating a pro-Southern riot at the Broad and Prime Station. There was a second riot the following year. After the Civil War was over, attention was finally paid to the need for better North-South rail transport along the Eastern Seaboard. Up to that time, European investment had pushed American railroading in an East-West direction. The Baltimore and Ohio were aimed at the Mid-West, while the New York railroads aimed at Chicago and beyond. Local politics in the seaboard cities tended to keep the competitors from linking and thus potentially capturing trade between the manufacturing North and agrarian South. and then linking it to the stub of the P, W, BRR, the way was being paved for Ascella Express trains to shoot from Boston to Washington, perhaps eventually to Florida. The side-track from West Philadelphia to Broad and Washington was allowed to wither, and of course, the whole Camden and Amboy RR became scarcely more than a trolley line All that was left as a challenge to the Pennsy was to get past B and O obstructionism in Baltimore. This last step was finally accomplished with the discovery of some legal loopholes related to an existing right of way for a local commuter line in Baltimore, where permission for a branch line was broadly interpreted, and a surprise tunnel dug to link it up to the other parts of the Pennsy. Amtrak passengers nowadays usually move through the Baltimore tunnel systems without noticing them, but occasionally a train breaks down inside the tunnels. Then, they prove to be rather dark and damp as the passengers with their laptops are transferred to another train. In 2001, The Kimmel Center for the Performing Arts opened to the public, at a cost somewhat to the North of $200 million, and an annual budget in excess of $80 million. Although the generosity of Sidney Kimmel and Raymond Perelman must be gratefully acknowledged, and the ambitious energy of Philadelphia's political and musical worlds must be admired, there is little question that the city strained its resources to the utmost to achieve the new center. The Philadelphia Orchestra must appear on anyone's list of the best symphony orchestras in the world. It's likely going to stay there, too, because the orchestra stands on a wide base of associated Musical schools, chamber music groups, and intensely loyal musical audiences. As they say in baseball, they have a deep bench. Nevertheless, software piracy has just about eliminated an important source of income from the sale of recordings, seat prices are dauntingly high, other symphonies and other forms of entertainment have greatly improved in recent years. First-class musicians are not paid like sports stars, perhaps, but the top layer begin their careers with salaries in six figures, and top conductors commonly receive a million dollars a year, just like corporate executives. Between the high costs and the practical upper limit to what audiences will pay for a seat, about a third of the budget must be subsidized by some form of donation or fund-raising. It takes a lot of effort to raise thirty million a year. is a free-standing corporate entity, whose main tenant (the Orchestra) owns a competitive music hall, the old Academy of Music. In other words, the capacity of Philadelphia's musical locations has been substantially increased. Increased, that is, beyond the metropolitan area's capacity to fill seats for classical music. A season's list of seventy-five productions may not fill the capacity, but the production schedule is limited by the fact that almost every production sustains a loss which must be made up by fund-raising. motto that Fortune Favors the Brave, the leadership of the town has embarked on a daring musical exploit. The remarkable design team constructed the hall along highly innovative lines, based on movable wooden wall panels, controlled by computers. The hall itself becomes an instrument, slowly adapting and learning from each orchestral piece to produce an evolving product that no orchestra could produce without the hall to surround it. No one yet knows how far this idea can be taken, but it is possible to imagine four or five quite different versions of the same piece, each one recognizably distinct and with its own following. And revolving stages, adaptable hall design, and computerized modeling make it possible to have performing arts, not merely classical symphonies. It remains to be seen whether the designers can achieve perfection in a number of different forms, not merely limiting the design to a specialized version for a single purpose. If that works, capacity can be increased by redefining capacity. Just imagine what a wedding you could hold there. And just imagine how that worries the owners of the other six theaters in the neighborhood. In fact, just imagine how it worries the Philadelphia Orchestra to learn that there are plans to bring other visiting orchestras to town. Or how it worries other cities to hear that Philadelphia hopes to draw musical audiences from a long distance. There's going to be some creative destruction here, and some high adventure. Philadelphia was the birthplace of Henry George, at 413 South 10th Street between Pine and Lombard, in 1839. The house has been restored to its 1839 condition and serves as the Philadelphia extension of the Henry George School for Social Studies, where you can take a course or two on the economic theories of Henry George, especially the Single Tax. If you do so, you can join the rest of us in pondering whether Henry George was a genius or a nut; he certainly combined some elements of both. Leo Tolstoy no less, felt there was a conspiracy to keep people from knowing about the theories of Henry George, saying, "People do not argue with the teaching of George, they simply do not know it." In 1879 Henry George published a book, "Progress and Poverty which made him so famous he became a candidate for Mayor of New York City. Although he lost the election, he outpolled the third candidate, Theodore Roosevelt. The underlying thesis of his book would probably not find much approval among contemporary economists, who would likely say he was fooled by a cyclic increase in the value of land as an asset class. What he said was there was a remorseless trend of land to increase in value, while the proportion of wealth represented by labor and capital steadily diminished. Nevertheless, it can still be argued that: proceeding from the wrong premise about the causes of poverty, he might have propounded an attractive cure -- the single tax. 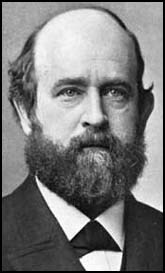 Henry George asserted that we should stop taxing buildings ("improvements") and place all municipal taxes on land. There could be something to this. It is uncomfortably true that your taxes go up whenever you build a new building or substantially renovate an old one. The increased taxation of improvements is a disincentive to the building, renovating and improving a property. Placing taxes on the underlying land, by contrast, would create a positive incentive to build something and put the land to use. Evidence can in fact be produced that partial adoption of this principle has caused considerable prosperity in Pittsburgh, notwithstanding that city's recent flirtation with bankruptcy for unrelated reasons. Pittsburgh has shifted the proportion of real estate taxes from structures to underlying land, several times, and each time the change was followed by a demonstrable flurry of real estate development. Philadelphia had no similar flurries at those times, and it is said the contrast was caused by State Law which forbids such "discriminatory" taxation in first-class cities. Pennsylvania has only only one first-class city, Philadelphia, so you don't have to guess which city the Legislature had in mind. Before we let ourselves get too embittered by dirty politics, we should take a look at Arden, Delaware, which is another nearby town to try the Henry George approach. Arden is a little country suburb of Wilmington which became a summer art colony, with theater groups, especially favoring Shakespeare. Arden, which is Shakespeare-speak (in As You Like It) for the Ardennes Forest in France, applied the Henry George rules to taxing the land not the summer houses of the area. So, go take a look there at the result. More and more houses crowded closer and closer together -- on the same land. There's plenty of open land over the next hill where Arden supporters could drive or even walk in ten minutes, so the Henry George system is quite effective all right. But the effect is not entirely what was intended. Leo Tolstoy is gone, so someone else must unravel this riddle. A number of prominent figures participated in the downtown revival of Philadelphia after the Second World War, with a surprising amount of jealousy among them. Mayor Richardson Dilworth would have to be mentioned in any list of those leaders, but one who was more admired than loved. Aristocratic and flamboyant, he disdained the little hypocritical dissembling so characteristic of politicians. In fact, he didn't see himself as a politician at all, he was a leader. Once Dilworth became convinced that Society Hill revival was not only desirable but feasible, he moved there. 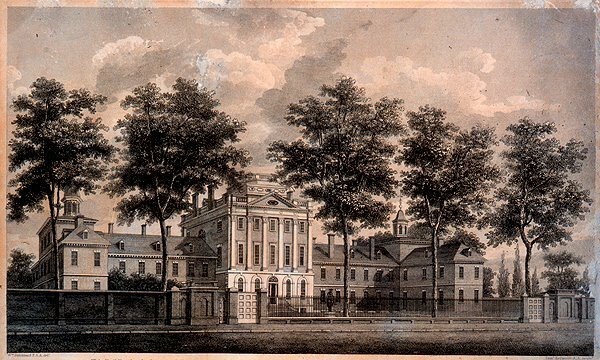 He purchased two houses next to the Athenaeum on Sixth Street, and in spite of the protest of preservationists that those two houses were particularly fine examples of Federalist style on Washington Square, he had them torn down. Furthermore, in spite of outcries that the house he was building in their place was merely a pseudo colonial gesture, he constructed a very expensive but extremely comfortable modern house. Those of us who were familiar with the neighborhood were impressed with the courage he displayed in doing this, because the area was just a little dangerous, and almost no one else lived there. You could buy dozens of twenty-room houses in the neighborhood for less than $2000 apiece, and it seemed foolhardy to make such a large personal investment in what might become a stranded gesture. This was described as flaunting his personal wealth, because it was not just a fine house, it was possibly going to be a big loss. Dillworth got away with it. He was seen as courageous, and a leader. Others started moving into the area, mostly rehabilitating old mansions. By the time the house was eventually sold by his estate, his conspicuous consumption turned out to be a profitable investment. Smart. Dilworth had some practical problems. It wouldn't have been smart politics to have a long black limousine pick him up in poor neighborhood. The only people who do that are undertakers and the Mafia. On the other hand, the driver of a limousine often doubles as a bodyguard, and a bodyguard wouldn't be a bad idea. Those of us who drove down 6th Street every morning at 8:30 gradually noticed what Dilworth did to solve the problem. Every morning a Yellow Cab could be seen parked outside his door. It always had the same uniformed driver, and on closer inspection, the cab was the cleanest shiny late-model car, painted yellow. It was only six or seven steps from the door of the house to the door of the car, and he was off and gone in a moment. Other mayors have had quite different styles.Frank Rizzo had his long black car and several like it parked on the sidewalk outside City Hall. His image was that of a poor boy from the neighborhoods who had made it to the top. No matter where he went, Rizzo was leading a parade. Ed Rendell, on the other hand, was playing the role of America's Mayor. His driver would blow the horn, put on the headlights during the day, roar through town, making screeching u-turns right and left. Several times a day he would put on this act, going two blocks from City Hall Annex to the Convention Center, to address an audience of visitors. Well, mayors and bank presidents are supposed to have limousine service. Anyone else would have to ask whether it was worth all the trouble if instead you could just catch a cab. Those long cars are surprisingly uncomfortable to ride because the roof is so low you have to crawl on hands and knees to get in a seat. Finding a place to park one of those monsters, or even a wide enough opening next to the curb to let out the back-seat occupant, can be a problem in the center of a city. Even with portable cellular phones, there is a delay after you call for the car, when you are ready to leave your appointment. Those who have tried it find that hiring a driver almost always confronts you with a demand to circumvent taxes by paying the driver in unrecorded cash. In South America, where bodyguards are really necessary, the great majority of them flee in terror at the first sign of the underworld. Limos are a pain. At least in Philadelphia, you can get a fairly clean, fairly new cab with a fairly knowledgiable driver, by simply holding up your hand at any center city street corner. During business hours at least, you can hail a cab in three minutes. That doesn't just happen that way, and the mayor has something to do with it. Cities usually have a Medallion system of cab licensing, and existing cab companies don't want any medallions issued to competitors. In politics, such a situation helps campaign funds considerably. The result is a shortage of cabs, surly drivers, and high prices. Boston is such a town. On the other hand, if medallions are easy to obtain, as they are in Washington DC, the cabs become numerous enough, but are shabby dilapidated old vehicles, driven by recent immigrants who don't know the street names. In Philadelphia we take our good fortune for granted, but we do owe a debt to the city government for managing the supply and demand situation to the point where it mostly would be foolish to have your own car and driver. In this town, every man a king. As a matter of fact, in Boston it got so bad that Ned Johnson, the richest man in town (he personally owns the Fidelity Mutual Fund Investment Family) got so enraged that he couldn't ever get a cab that he founded his own cab company. It's a very elegant one, although a little expensive. The Boston Coach Company supplies immaculate and impeccable service for a fee. At first, it was only available to Fidelity executives but now has spread out to anyone willing to pay for it, and flourishes in many cities, plus chartered airplanes if you don't like to wait in security lines at airports. You have to admire Johnson for his golden business touch, but in Philadelphia we can just use cabs. It sort of goes like this: the Scotch-Irish had been kicked out of Scotland and they were soon kicked out of Ireland, so they were far less emotionally attached to their local soil than other European groups. So they were probably the first group to regard real estate as a commodity rather than a repository of wealth, or a religious shrine, as other groups often do. It soon became evident to them that the best real estate was usually found at the crossroads, and the more important the intersecting roads, the more valuable that real estate was going to be someday. Accordingly, early Scotch-Irish settlers roamed around their new country, looking for likely crossroads, and buying up the local property for speculation. Although he spent a lot of time in Rittenhouse Square in Philadelphia, Henry James wrote about Washington Square in New York. It was Christopher Morley who wrote about Washington Square in Philadelphia. The best short essay about Philadelphia's Square is found in this link. The subject of Washington Square includes an interesting variety of topics, including the Walnut Street Prison, famous balloon rides, the Athenaeum, Penn Mutual Life Insurance, Curtis Publishing Company, N. W. Ayer, Harry Batten, Lea and Febiger, Lippincott Publishing, Saunders, Orange Street, the St. James Apartment House, Richardson Dilworth, the Farm Journal the old PSFS building, and the Maxfield Parrish mosaic. Philadelphia City Hall was intended to be the tallest building in the world, so there was no reason to suppose anything in Philadelphia would be taller. Gradually, taller buildings in other cities were built, but there grew up a gentleman's agreement that no skyscraper would be built in Philadelphia that was taller than William Penn's hat atop his statue on the tower of City Hall. Planning in the city was organized around this premise, which affects subways and other transportation issues in the city center. Because of assassination fears, a similar tradition in Washington DC was enacted into law, and it must be admitted that the flat skyline of that city looks a little dumb and boring. But Philadelphia neglected to pass a law, and so at the end of the Twentieth Century first one and then half a dozen skyscrapers were built that were twice the height of City Hall, immediately destroying the organizing visual center of the city. Pity. But there are more serious issues involved. Aesthetics aside, who cares if someone bankrupts himself building an inappropriately tall building, with excessive elevator costs, problems with reinforced foundations, shortage of parking space, and the like? And the answer to that is the new tall building will bankrupt the older office buildings, not itself. Using offers of low, low rents to fill the new building, tenants will be drained from other spaces, and other areas of the city will deteriorate, unless there happens to be a general shortage of office space in the region. Carried to an extreme, all of the center city business might be envisioned to reside in one thousand-story building, and the rest of the region would be a desert. The obvious response would be that no landlord wants to have competition, and new construction is the way a city renews itself, creatively destroying the old to make room for the new. You must not allow the vested landlords to capture the political process with agitation if not bribes. Push things too far in that direction, and you will find that political corruption has destroyed the fabric of the town more effectively that a couple of skyscrapers ever could.Market East has been devastated, it is true. But that's the price of conducting the commerce of the region on the basis of market economics instead of through bureaucracy which masks corrupt politics with high-flown language. Paris is beautiful, but France has 12% unemployment which is closer to 16% if you remember the 30-hour week, the nine-week vacations, and a retirement age in the fifties. And yet, there is certainly a point to be made here. The height limit on new construction must bear some relationship to the regional need for new office space, and not merely rely on beggar-my-neighbor. We're currently hearing about two new projected skyscrapers, one beside 30th Street Station, and the other at 17th and Market/Chestnut. The decision to go or no-go will rest with whether the developers can find "lead" tenants. The corporate officers of these large enterprises are the ones who must be expected to give careful consideration to the best interest of the community, because right now they are the ones who control matters. If they neglect their responsibilities, the pressure to pass more zoning laws will prove hard to resist. The largest bell in the world is reported to be in St. Petersburg, Russia, but the second largest is in Philadelphia. No, it isn't the Liberty Bell, which is cracked and disfunctional, but smaller in any event. The bell sound is so penetrating it seems to come from everywhere, so it isn't surprising that many people believe it must be coming from the tower of City Hall. That's fairly close, but in fact the bell is atop the former PNB building across the street between Chestnut and Market. When that so-and-so rings, you feel it in your bone marrow even if you are five blocks away. Because it's so big, its note has a very long period of decay, with the result that when it rings it rings very slowly and deliberately. People who have been there report the surprising news that there is a penthouse apartment right underneath the bell, which is so well insulated that you can hardly hear the bell toll. Underneath that however are suites of offices where the ringing of the bell vibrates enough to knock the fillings out of your teeth. The law department of the Philadelphia National Bank used to be right in the midst of those offices. It's reported that the lawyers in the place were busy at 11 AM every day, inviting somebody, anybody, to go out for lunch. Meet you at the restaurant or club at 11:45. There was a time when the mission of the HSP (Historical Society of Pennsylvania) was clearly and proudly centered on the history of Philadelphia's old families. There generally comes a time in every family when its accumulation of stuff requires facing the fact that many possessions are too valuable to sell and too bulky to store. HSP in time became a place where families contributed these objects of memory and value, at least keeping them out of the hands of antique dealers when dusting and insuring them became a burden. When many families entered into such a joint venture, the shared goals and experiences created a tradition over time which was reassuring to the donors. The famous lawyer Howard Lewis came to the board of HSP at a time when it was facing up to some of its own problems. The then Board Chairman Boises Penrose came to the young lawyer one day and told him it was time he joined the board. Well, why? Because your grandfather was once Chairman of the Board; no other explanation was offered. Howard Lewis recounts that it was his introduction to a Philadelphia fact: some board appointments are hereditary. He dutifully joined. It became apparent that HSP was a museum of immensely interesting artifacts, including decorations used at the Machianza of 1778, a copy of the handwritten originals of the Declaration of Independence and the Constitution, and ten thousand other curios of great interest. It was a place to visit one's family relics, it was a great place to hold a party. It had a three million dollar endowment in 1969. But it had a big problem: essentially no one visited the museum. It isn't hard to imagine the anguish waiting for anyone who stirred up the hornet's nest by pointing out the obvious problem. You can't fire hereditary directors, so hereditary directors don't budge in an argument. You can make hired staff into scapegoats and fire them; that doesn't accomplish much, although it is commonly tried. The Genealogy Society is a natural partner of Philadelphia's attic, but although the two partners were intimately mixed, natural partners who can't be fired add to the scene. Things went on. Boies Penrose held board meetings which lasted precisely forty five minutes. He had a train to Devon to catch at 5:15, so meetings ended at 4:45 PM, precisely. Even when a speaker was in mid-sentence, the gavel banged down at 4:45. Eventually this impasse was broken by reaching an agreement with the Atwater Kent Museum to the effect that historical three-dimensional objects would go to the Atwater Kent, freeing up 40% more library space for the two-dimensional papers, maps and documents which were to become the main focus of the new HSP. More separation between HSP and the Genealogy Society was effected. Much of this was made possible by the extraordinary investment ability of Ralph Kynette, who had run the endowment up to $18 million, in spite of maintaining a spending rule of 9%. There are not many non-profit organizations which can match such a performance. The reorganized HSP floundered a bit, and then it had the good fortune to enter into a merger with the Balch Institute. The Balch also had a store of valuable papers, but its main mission was educational. The addition of this educational effort to the more static museum and library functions has allowed the recruitment of ambitious staff, and a considerable redirection from Olde Philadelphia to the city as it now is. In the course of the many reexaminations which all this reorganization stirred up, some familiar issues in non-profit administration had to be faced. The American Museum Association is firm in its principles that no asset in the archives of a museum may ever be sold, except to purchase some other asset which comes closer to the museum's stated mission. The underlying sense of this rule is plain: it would be unfortunate for paid staff to sell artwork for the purpose of sustaining or raising their own salaries. Unfortunately, in a great many instances, collection value has grown more rapidly than the size of the endowment to preserve the collection. That's about the size of the problem at the Barnes Museum, where collections worth many billions cannot be touched to raise money to protect and display them. It is confidently asserted that the Barnes has many objects in its basement which could easily correct its endowment imbalance, but the AMA rule prevents it. The Barnes must now be moved to a new county to overcome this impasse. It all seems like an awkward way to solve one problem by creating another, but the lawyer in Howard Lewis takes it in quite an unexpected direction. It is his view that locking the museums of the nation in this position creates a constantly shrinking market in art work; when a museum acquires a piece of art it forces it to enter a one-way tunnel, never to reappear on the market. A constantly shrinking market of salable art raises prices, and it does so in a way that resembles a violation of the Clayton Antitrust Act, the beneficiaries of which are the art dealers, art collectors and artists of the world. Add to this injury to competition, the tax benefits of creating or holding a constantly appreciating market; and it really is an uncomfortable thing to consider in depth. The American Museum Association ought give serious consideration to finding alternative routes to its legitimate goals. One of the other probably unintentional results of this rule is that the donation of a valuable piece of art to a museum is very likely to lead to its instant sale for cash. The reasoning here is that the donation has not yet been "taken into the collection", and thus it can be sold without violating the Museum Association rule. People who wear wigs while sitting on a bench may consider this a valid interpretation, but when you set about trying to fashion a better museum rule, this rebuttal seems highly contrived. If we should some day set about to re-examine what we are doing in the legal thicket of museums, we might consider how the principles of non-profit accounting for museums might be fundamentally modified. Since a non-profit is thought to generate no profits, its financial health cannot be measured by the size of its profits. Consequently, it is traditional to account for the finances of a non-profit by measuring whether its assets have grown or declined. However, conducting an annual appraisal of all the art work in a museum that never sells anything is a monumental expense without any other purpose than to satisfy the accounting rule. Consequently, I'll tell you a little secret. Absolutely everyone ignores the issue, and the annual audits are totally uninformative if not misleading. Who's going to hang the bell on this cat? The Musical Fund started as a musician pension scheme, but its hall was used for many historic events. The musicians union has agitated Locust Street ever since; the Musical Fund Society still meets; William Strickland's building now contains condominiums. Philadelphia's ambitious Bicentennial celebration of the Declaration of Independence was ruined by an epidemic of a new disease that seemed to focus on tourists. Sometimes it's hard for others to understand what makes Quakers tick. The history of American medicine is the history of the Pennsylvania Hospital. Philadelphia needs more than one concert hall, but two of them may be more music than we can manage. The Henry George idea of a single tax still lives on in a school run in his old house on Eleventh Street. Mayors sometimes want to be noticed riding around, and sometimes want to be invisible. They have been both. The designs of the city squares, that of City Hall, in particular, follow the "diamond" pattern characteristic of the Scotch Irish, who were keen real estate speculators. All five of William Penn's city squares have proud and colorful histories . Washington Square, however, tops them all. It's had prisons, fish ponds, cemeteries, mansions and skyscrapers. There was a gentleman's agreement not to build higher than the top of City Hall, but business is business. The second largest bell in the world tolls at noon in Philadelphia. You can't overlook the sound, but many people don't know where it comes from. The Historical Society of Pennsylvania started out in 1824 as a repository of family treasures. Several mergers and changes of direction have given it a new mission.